Join us for breakfast and a discussion led by technology icon Muddu Sudhakar on AI, ML, Cloud Disruption and the benefits to Enterprise Service Management. 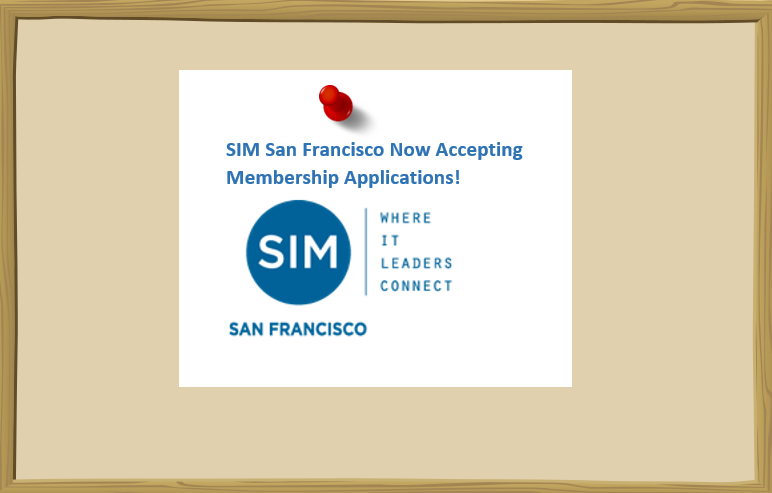 Join SIM San Francisco! Network and share knowledge with a valuable cohort of industry peers at both a regional and a national level. SIM San Francisco welcomes senior level professionals, managers, academics, consultants and other leaders in IT and business. Just click the “Apply Now” button, then continue to fill out all requested information and submit. After your application is reviewed by the Membership Committee you will be contacted regarding next steps.